A loan of $1,925 helped to buy farming supplies such as larvicides, pesticides and insecticides at wholesale. 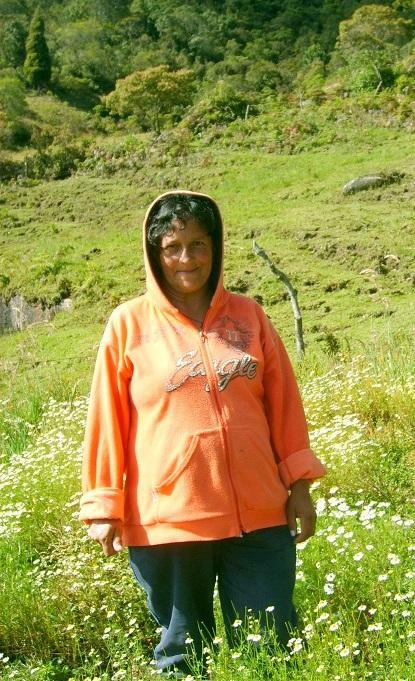 Beatriz, 40, is from the countryside and lives happily married with her husband and their 5 children. The family has gotten ahead with much effort from Beatriz. She has always been an exemplary house wife but ten years ago she learned from her husband how to work the fields with the aim of improving the family income because they were in a difficult economic situation. Therefore, she decided to begin to grow flowers and the harvests that she collects are sold in the market square so that she can generate income to help her husband with the household costs. Her drive, tenacity and perseverance have enabled her to succeed and overcome the numerous obstacles that she has encountered, especially the high cost of supplies and climate change that affects her crops. Nonetheless, she always looks for alternatives that allow her to progress. For that reason she is asking for the help of a loan that she will invest in the purchase of farming supplies such as larvicides, pesticides and insecticides at wholesale. With this loan she will be able to continue with her crops, have a more productive harvest and generate a higher level of profits. Beatriz said that her greatest desire is to expand her crops and have the opportunity to improve the living conditions of her family. She also hopes to provide a better quality education to all of her children so that they can have a more prosperous future. Beatriz, una mujer campesina de 40 años de edad, vive felizmente casada con su esposo y sus 5 hijos, a quienes ha sacado adelante con mucho esfuerzo. Siempre ha sido un ama de casa ejemplar, pero hace 10 años aprendió de su esposo, a realizar todas las labores del campo, con el ánimo de mejorar los ingresos familiares, pues la situación económica era difícil. Por ello decidió comenzar a cultivar flores y, las cosechas que recolecta son vendidas en la plaza de mercado, así genera recursos para apoyar a su esposo con los gastos del hogar. Su empuje, tenacidad y perseverancia le han permitido salir adelante y sobrepasar los diversos obstáculos que se le presentan, especialmente debido a los altos costos de los insumos y al cambio climático que afecta sus cultivos; sin embargo siempre busca alternativas que le permitan seguir avanzando; por ello se motiva a solicitar el apoyo del crédito que invertirá en la compra de insumos agrícolas al por mayor (larvicidas, pesticidas, insecticidas, entre otros), así podrá continuar con sus cultivos y tener una cosecha más productiva, generando mejor nivel de ganancia. Beatriz manifiesta que su mayor anhelo es ampliar sus cultivos y tener la oportunidad de mejorar las condiciones de vida de su familia, además desea brindar una educación de mejor calidad a todos sus hijos, para que se forjen un futuro más próspero.